For Ages 15 and up. THIS ITEM IS Z Scale !! Don't miss them again. Good Luck and God bless !! Custom Made Wood Z scale Briefcase Car Storage (Fine Dovetail Construction). Condition is New. Shipped with USPS Parcel Select Ground. PLEASE NOTE Cars and Cabooses NOT INCLUDED. Item: Five Pole Motor Conversion Kit BR89 and other. Quantity: 1 Set of 3 Components as pictured. Get Supersized Images & Free Image Hosting. Special Features: Original Manufacturer Parts. Not short on details, these are quite complex kits. "Ingalls Family House". Made of Polybac. Kit material is 0.023", 0.015" and 0.010" thick. All walls and roof are engraved with plank and shingle patterns; the chimney also has stone pattern details. AZL 63104-1 Z scale SD70Ace Kansas City Southern #4032 w Free ship! This kit is based on one seen in and old ad that was taken by the late John Allen. This is a simple kit to build and includes the laser cut walls and even the open stud wall is a one piece laser cut wall. Up for sale is a used Marklin 81561 Train Layout Set. Lot of 5 Arrowhead Scale Models Truck Kits. Condition is New. #20-5150E Ambulance, #20-5031 Box Van, #20-5030 Flatbed Truck, #20-5060 Armored Transport, #20-5033 Dump Truck. Comes from a Smoke Free environment. Model : 1 Marklin Starter - Set Mini Club Z No. 8165, tested completed and original box. Box Number : 8165. Note : pleas look the Picture, in Orig. Tested FWD & REV w/lights. Item: Funeral Horse & Carriage w/ Coffin & Driver. New Product Line of High End Layout Accessories. make Supersized seem small. Get images that. 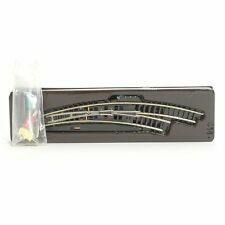 COMPLETE TRAIN OF MARKLIN Z SCALE SOUTHERN PACIFIC DAYLIGHT 2 LOCOS AND 9 CARS. One locomotive has had front coupler replaced with a plain pilot. Both locomotives have been weighted with tungsten weights in the shell roof to increase traction and pulling power. DC power only. Cars are in Marklin boxes that may not have the correct labels. Paragon Designs. 1:1 Scale Weapon Models. Hobby Boss. Super Scale Int. Reality In Scale. Alliance Model Works. Failure to comply with this will result in unpaid item filing. Tiger Model Designs. Tested FWD & REV w/ lights. Contents:10 straight tracks, 2 curved tracks, 2 electric straight turnouts, a control box, a distribution strip, wire, plugs and sockets, and instructions. The SET extension set program is a progressive system with which you can expand track layouts from the starter sets in steps. The E 8190 or E 8191 is used to expand the 81530/81535 or 81562 set. 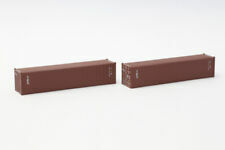 You can then systematically expand in any sequence desired with the T1 8192, T2 8193 and T3 8194 track extension sets. 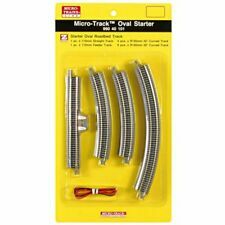 When you start off with the 81781/81785 starter sets, you already have the E 8191 track extens... Availability: Ships in 3 to 5 Business Days. Special Features: New and unused original Marklin 5 Pole Motor. Item: 5 Pole Motor. Quantity: 1. Tested FWD & REV w/ lights. Excellent condition without original box. Not intended for children under 15 years old. 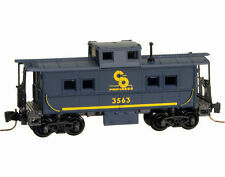 Z scale Animek Models Ralphie’s House Kit. Comes from a Smoke Free environment. Modeled by French Designer Sébastien Maître. Z Scale - 1:220 - No Assembly Required! This building has open windows and interior that will allow for window film, lighting and even interior design if you choose. Micro-Trains' 799 90 962 Ore Stamp Mill. rural detail KIT that you have to paint, cut and glue before installing on your z scale layout. Laser cut wood kit. Assembly instructions. I made several of these as I wanted one for my train yard as a pusher/puller. It looks great when pushing or pulling matching SBB Cars. SBB Decals were added to both sides. The housing was altered to allow for the Marklin Couplers to fit. It's in great condition and original box. Item: (5 Pole) BR111 139-2 E Loco w/ Fact. White/Red LED. The tesrun of the 5 Pole all Axle Driven Loco went well. This loco is not available as a single entity only with the set. The Factory installed Warm White LED function. Marklin 82513 SNCF French Railway. 3 freight wagons of various designs, hired by the French State Railways (SNCF). Total 3-car set is 220mm in length. SNCF - Societe Nationale des Chemins de fer Francais (French Railway). Z SCALE BRASS RAILEX DB KOF LOCO. LIKE NEW CONDITION IN CUSTOM WOODEN BOX. I SEE NOTHING BROKEN OR MISSING. PLEASE LOOK AT THE PICTURES FOR GREATER DETAIL PLEASE REFER TO PICTURES. FOR OTHER DETAILS. 8804 MARKLIN Z (5 POLE) DIESEL HYDRAULIC SWITCH ENGINE HARD TO FIND WITH 5 POLE MOTOR ALREADY INSTALLED, I BOUGHT 2 OF THESE NOS THEN SENT THEM OUT AND HAD THE 5 POLE MOTORS INSTALLED. AZL 91337-2 Delta Gas SHPX #17041 Tank car w Free ship! ONE-OF-A-KIND-SET. This Z Scale Marklin 11-Car Set w/ Custom Painted WWII Germany War Trains. The engine has been serviced and track tested with a new 5-Pole Motor and LED Headlight function. Comes in a custom wooden case. Please look at pictures for greater detail as they are a part of the description. This 33’ twin bay hopper with rib sides is black with white lettering and runs on Bettendorf trucks.Built in 1952 for Baltimore & Ohio as part of series 136800-137999 it had a 2,167 cubic foot capacity. 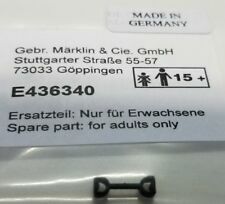 Special Features: New and unused original Marklin 5 Pole Motor. 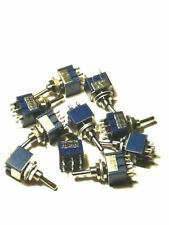 Fits:BR96 88290, 88291, 88292 & 88294. Item: 5 Pole Motor. Get Supersized Images & Free Image Hosting. Condition: I believe this car to be new. Anybody owning these kind of cars knows what I referring to. Item: TEE Dining Car. More TEE Illuminated LED Cars are listed separate. Box: Original. GOLD Metallic OFFICE SKYSCRAPER Building Z Scale 1:220 Add Floors to Customize! NOTE: First and last picture are of two of our new Customized "Create your Hight" Skyscraper Models side by side, the models look great together. (as pictured the BASE SET model is 15 Floors, the lobby of the building is 2 floors). MARKLIN MINI CLUB #8100 TRAIN SET, IN ORIGINAL BOX, VERY RARE TO FIND SET GREAT CONDITION THEY LOOK UNUSED. Not short on details, these are quite complex kits. This is an M3 Stuart tank with an M5A1 upgraded turret type on it. M3 Stuart Tank. This item is a KIT. So, this specific KIT requires CUTTING, PAINTING, GLUING and manual dexterity skills to build. Tested and engine does not turn its wheels. Review images. Z Scale Rokuhan BR 57 Armored Loco & 2 Tenders For BP-42 German WWII Armored Train With 2 Tenders, Powered Engine. Serviced and track tested. Like new condition. Comes in a custom wooden case. Please look at pictures for greater detail as they are a part of the description. Laser cut architectural grade laser-cut cardboard kit. Pre-colored. simply glue and GO! 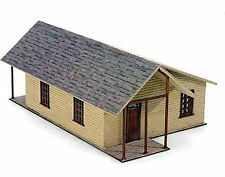 Goldtree Station is Archistories' first USA type structure kit and an exclusive kit sold by z.scale.hobo ONLY. This 50ft. Car #11 in the 'A Year of Railbox' Graffiti Series. Lights up but engine wheels do not move. Review images. Tested, train lights up, but wheels do not move. Review images.